I grew up in the southern part of Howard county for my first two decades of life. The last 3+ decades, I’ve lived in the northern part of the country. 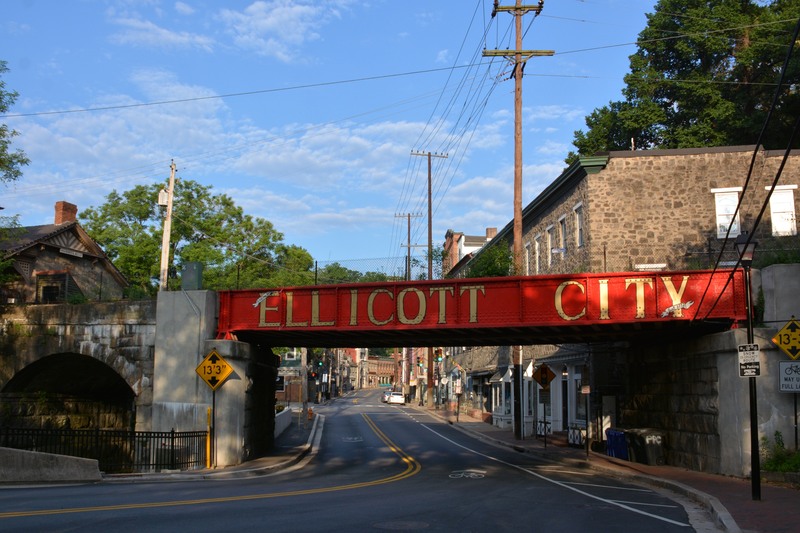 Part of what I am as an adult is based on a fair amount of time in and around Ellicott City. My in-laws live their. My dentist is on Main Street. I’ve worked in three buildings on Main Street. There is no better place to cruise on a nice day than down Frederick road through Main Street and then down River road up through some back streets in Catonsville and then back again through town to and up New Cut road out to Montgomery road. Shot this on Saturday morning around 7:30am. I’m going to try to remember the beauty I felt from the town that morning. We go down to eat once in a while. I go there for early morning walks on occasion. My better half just go for a walk on a late summer afternoon and we check out many shops and of course snack at a few places. We walk the Trolley trail but always take a walk back into town. The festivals or Christmas time are wonderful. I think about all the time I’ve spent standing around different streets looking at the streams winding in and out under the buildings and behind them. I think about playing ball at nights on those outdoor courts next to the old rec center/pool that is long gone. I can still hear the fire engines pulling out from the old firehouse where the Wine Bin is and those sirens just piercing my ears till they got out-of-town. I’ve even watched them fight fires in town. I think about how my Mom loved that town. The shops were right up here alley. I think about the people who believed and saw something in the town they loved and staked their lives and in a lot of cases their life savings into a business or home. And now these people are faced with the ultimate choice. Were these two flood events that are 1 in a 1000 year events (according to some unknown expert I’m told) were just a freak of nature and won’t happen again for another 2000 years and rebuild again and invest again or is it due to the building and land use around the town now that makes this event not just a possibility but a certainty again in the very short future. A horrible choice either way. For selfish reasons I’d love to see this town make another comeback. It gives me a better quality of life. It gives me peace and pleasant memories. But then for the rest of my days here I’d worry that I’m going to see a heartbreaking replay of this again and maybe with more loss of life and financial tragedy and ruin for many. I don’t know the answer yet. I’m going to give it thought. Unfortunately I think there are some hard truths and answers people won’t like when studies and recommendations for the future come forward. Because on the surface it looks like it would take a gazillion dollars to fix it or maybe some of it just won’t be rebuilt and the town will eventually become the spillway of the valley it seems to have become. Either way, the next few years my quality of life is less with the loss of this town again.